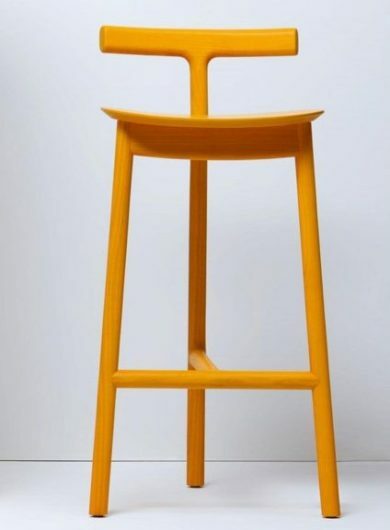 Radice, a three- legged wooden stool, is a creation of Sam Hecht /Industrial Facility . 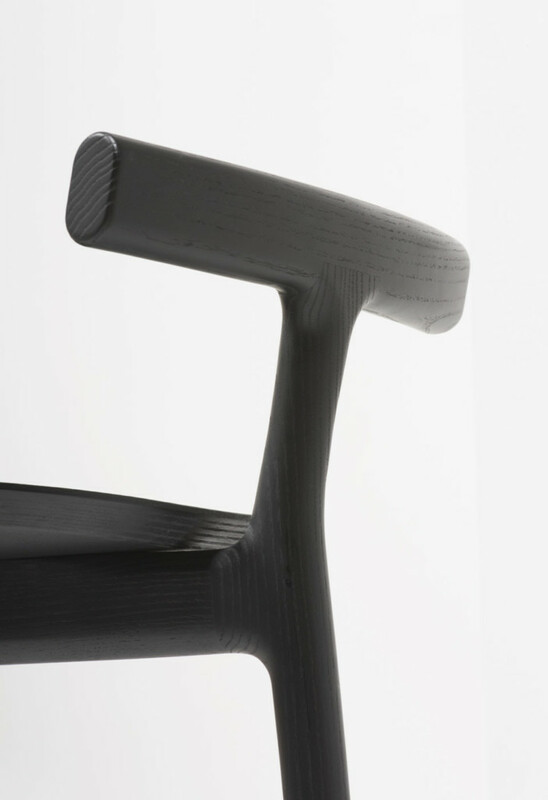 Radice finds its underlying beauty and simplicity in its structure. 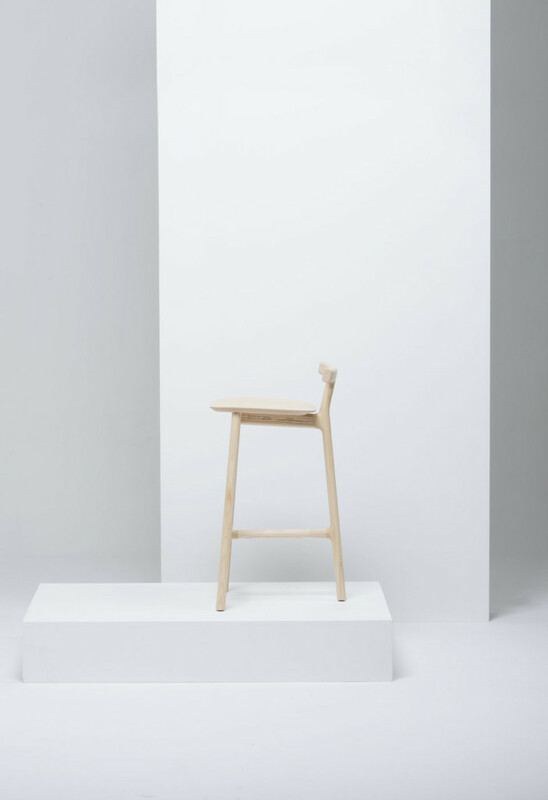 It brings together of what appears the front, half of a traditional 4- legged stool, with a single back leg- the root, with no screws or metal fittings. 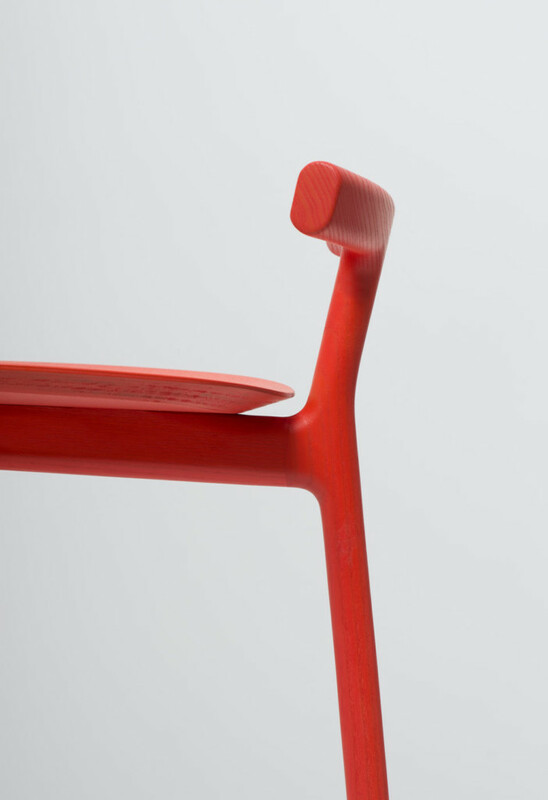 The backrest is small and reassuring, allowing a coat or handbag to rest on it; and the seat is open for large and small people. The coloured wood stain options for Radice are based on the cycle of an autumn leaf turning colour. 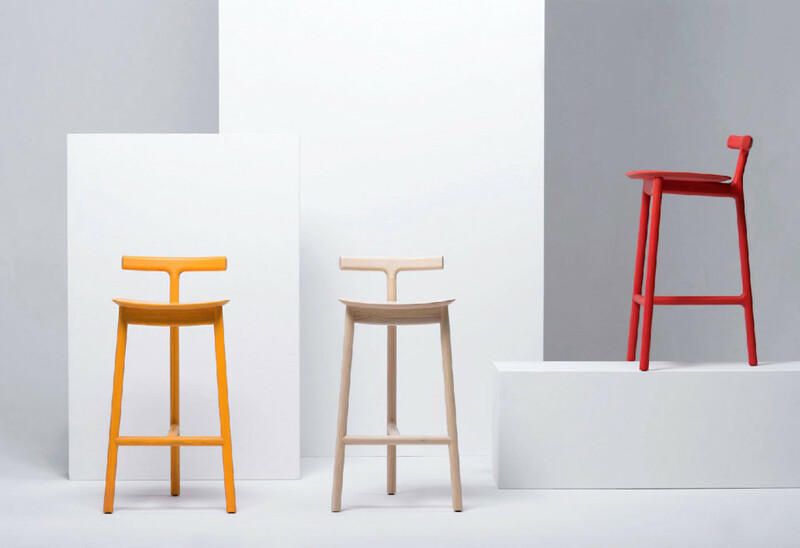 Radice is available in 650mm (stool height) and 470mm (chair height) with cushion options, in ash and oak frames.